This Webserver is owned and maintained by Cory R. Carpenter, and became operational on 4/7/2001. "Fortitudine," translated as "By Fortitude" is the motto of the Scottish Clan MacRae. A picture of the castle Eilean Donan, in the Western Highlands, is featured at the root of this server. 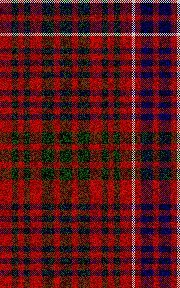 The MacRaes served as Constables of the castle on behalf of the Clan MacKenzie. Eilean Donan castle itself is probably better known in modern times through being featured in the motion picture "Highlander."